Samsung has used the last CES in Las Vegas to announce its new series of tablets. 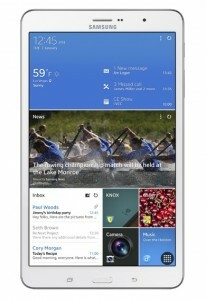 The company has introduced four new devices, with screens ranging from 8.4 up to 12.2 inches. Three of them belong to the Galaxy Tab PRO series and the fourth is the new Galaxy Note Pro. Samsung Galaxy Note Pro. It is the higher version of the 2014 Galaxy Note 10.1, with the Pen stylus included as well as all its related features. Like the other tablets presented, it runs Android 4.4 KitKat with the customized Samsung’s TouchWiz. 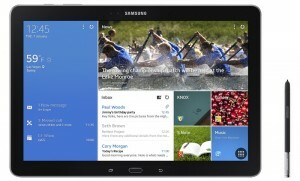 Samsung Galaxy Tab Pro series. They are similar to the Note Pro but without the S Pen stylus. There are three models available: 8.4, 10.1, and 12.2 inches and they come with Wi-Fi and the option to include also mobile data. All tablets display a resolution of 2560×1600 pixels, even the 8.4-inch. In the case of the larger tablets, in order to maximize the possibilities of this type of wide display, Samsung offers a custom Magazine UX. With this interface, the Note Pro and the 12.2-inch Tab Pro can offer a reading experience similar to digital magazines or e-books. They are scheduled to be available in market soon, although no official date or price is currently known.